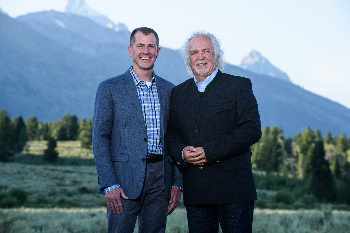 Every summer, the Nation's top musicians come together at the base of the majestic Teton Range in Jackson Hole, Wyoming, to create the incomparable Grand Teton Music Festival Orchestra under the leadership of Maestro Donald Runnicles. Now in its 57th year, the Wall Street Journal has called the Grand Teton Music Festival, "One of the best places to hear classical music in the summer." The Festival has been a hidden musical gem known only by the world's best soloists, conductors and orchestral musicians, the residents of Jackson Hole and its visitors—until now. In 2018, the Festival is embarking on its first national radio series to further share its breathtaking music making with audiences around the country.